This post was also written for the McMaster Alumni Blog. 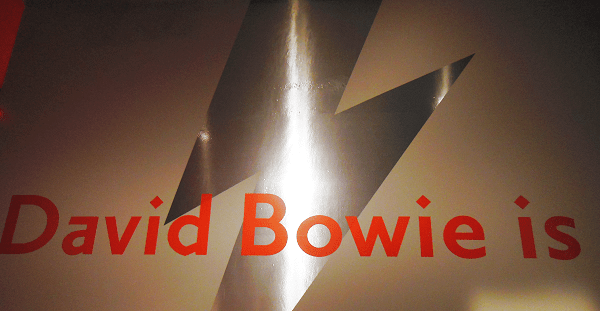 Probably the most anticipated Mac10 event of the year was a trip to the Art Gallery of Ontario to explore the exhibit “David Bowie is.” I joined my fellow McMaster alumni for a Bowie-filled evening in Toronto. The exhibit first appeared in London, England at Victoria and Albert Museum. This was the exhibit’s only Canadian stop, and we also had the bonus of getting to visit “Ai Weiwei: According to What?,” also featured at the AGO in its sole Canadian stop. I had been listening to a steady dose of Bowie to get into the spirit. My tourist accomplice for the outing was Grant Winestock of The Baltimore House (and we made sure to include several Bowie tunes at Baltimore’s weekly Tuesday night karaoke that week, in preparation). A “Best of Bowie” soundtrack is also setting the mood for writing this post. 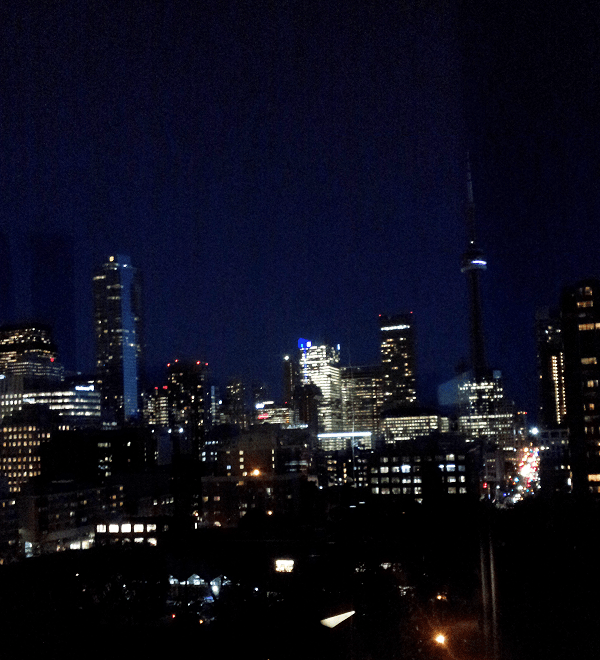 Before exploring the exhibit, we were treated to dinner and a brief introduction from an AGO speaker. We were also greeted by a couple of Bowie cardboard cutouts that were just crying out for a photo shoot. From there, it was off to explore. I had never been to the AGO; needless to say, it’s huge, and it took a minute to get our bearings as we were lead around and up various floors. 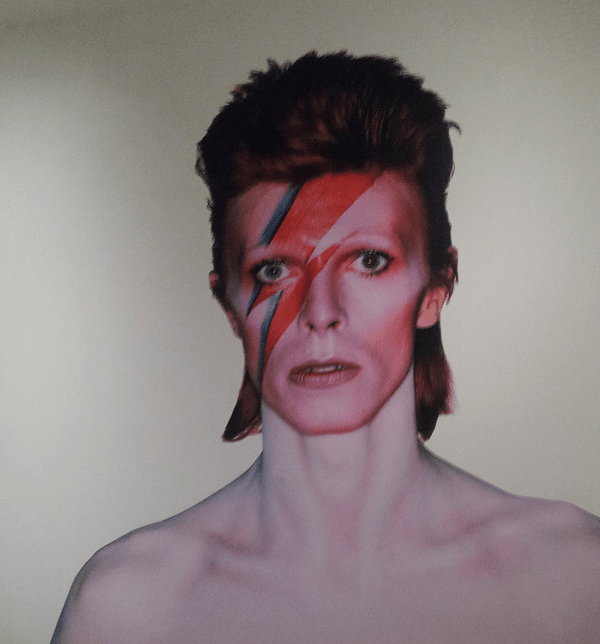 The Bowie exhibit began on one floor and led up to another. Before heading in, you were given a set of headphones. Sensors were connected to various points in the exhibit so that an audio guide kicked in throughout, depending on where you were standing and what you were viewing. It was a really visceral experience with multiple songs and sounds hitting you at once as you moved around. Combined with the visuals, it was a kaleidoscope of Bowie! What struck me most about Bowie was the theme of identity. In an interview that came through the headphones, he said something along the lines of, if he couldn’t cope with being himself, he would make up other people and it was much easier to be someone else. He also talked about how all influences just went into his memory; he retained them all and they would manifest themselves in different ways. It’s astonishing the amount of times Bowie reinvented himself, subverted expectations, and challenged gender norms. He created an entire world, a whole universe of characters. There’s something so intriguing and appealing about starting over and reinventing yourself. And he did it all while intertwining these personae in his incredible music – a staggering 27 studio albums between the years 1967 and 2013. There was so much to read – so many little snippets of info at each stop. It was difficult to read everything, even though you wanted to. It was overwhelming at times to look around and take everything in. At one point, the seminal tune “Space Oddity” was played through our headphones (but really, there are so many classics) and we took so long to read through everything that it began to play again. I woke up with the song stuck in head! Many items in the exhibit were right from Bowie’s personal archives. It was particularly awesome to see in person his handwritten lyrics from songs like “Fame” (which I learned was written with John Lennon), “Ziggy Stardust,” and “Heroes.” It’s incredible to think that someone’s scrawling on a piece of paper could then go on to be this coveted artifact and a piece of pop culture. It was a fascinating journey making our way through the world of Bowie. Excuse the lack of photos, as they were not allowed! Thank you to McMaster Alumni for organizing such a fun trip; I may not have made it to the exhibit otherwise. 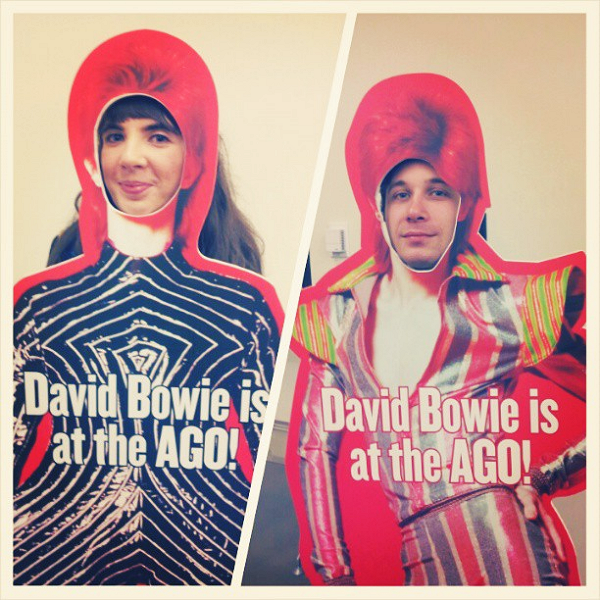 Note: I received a pass to attend the AGO as a guest of Mac10, but all thoughts about the night are my own.